In appreciation of the Federal Governmentâ€™s Anchor Borrower Programme being facilitated by the Central Bank of Nigeria (CBN), farmers in Edo South Senatorial district, have promised to give Patrick Obahiagbon, 30,000 votes in next yearâ€™s general election. 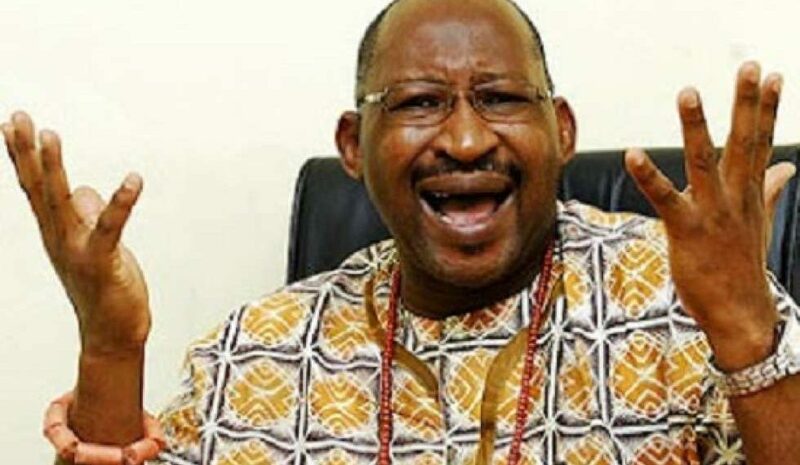 Obahiagbon, popularly known as â€˜Igodomigodoâ€™ is the Senatorial candidate of the All Progressives Congress (APC). His main opponent is the incumbent senator, Matthew Urhoghide of the Peoples Democratic Party (PDP). The farmers, who spoke to journalists in Benin- City, accused Sen. Urhoghide of not doing anything to uplift them in the past four years. They said the APC -led Federal Government has shown commitment to their welfare through the Central Bank of Nigeria Anchor Borrower scheme and other initiatives. Spokesman for the farmers, Mr. Ibude Orobosa, said they want to repay President Muhammadu Buhari by voting for all APC candidates in Edo State. He explained that farmers in the state have benefited immensely from several Federal government intervention. â€œWe want to assure President Buhari that all farmers in Edo State are happy with him. We want the APC to return to power so that we can benfit moreâ€, the farmers said.